Chargebee, a secure billing and subscription management solution, recently launched the ability to track abandoned carts, a remarketing feature that tracks and reports checkout failure. The abandoned cart reporting and recovery feature acts more than a mere nudge to buyers dropping a purchase during checkout. It aims to work as a recovery mechanism for potentially lost revenue. When a customer adds items to the cart and leaves the page before completing the checkout or leaves a hosted page or checkout page unattended for sometime, it is counted as an abandoned cart. The global cart abandonment rate for Q3 of 2017 was 78.4%, which is 1.5% more than the previous quarter, which means that more money is left on the table. Reasons for drops in checkout are plenty. These include technical glitches resulting in a drop in the checkout flow, closing the checkout tab by mistake, payment failures or declines, changing mind about the purchase due to potential hidden charges, or friction due to complex checkout flows. Understanding the primary drivers that lead to cart abandonment and following up on customers can help businesses increase sales conversion rate and establish better relationship with customers. The abandoned cart reporting in Chargebee is a comprehensive source for tracking lost revenue and dropped checkouts. The report includes details of the customer, product, and total value of the abandoned carts, which makes it easier to plan remarketing activities. The feature is complemented by abandoned cart email notifications or follow up emails to customers who abandoned their carts during a purchase, urging them to complete the purchase. Nithin Rangarajan, Product Manager, Chargebee. The results can be outstanding. SaaS doesn’t pay much attention to this metric, focusing on failed payments rather than failed checkouts, or in SaaS terms, checkout abandonment. As a way to plug up any holes in the revenue recovery pipeline, it can be surprisingly effective. 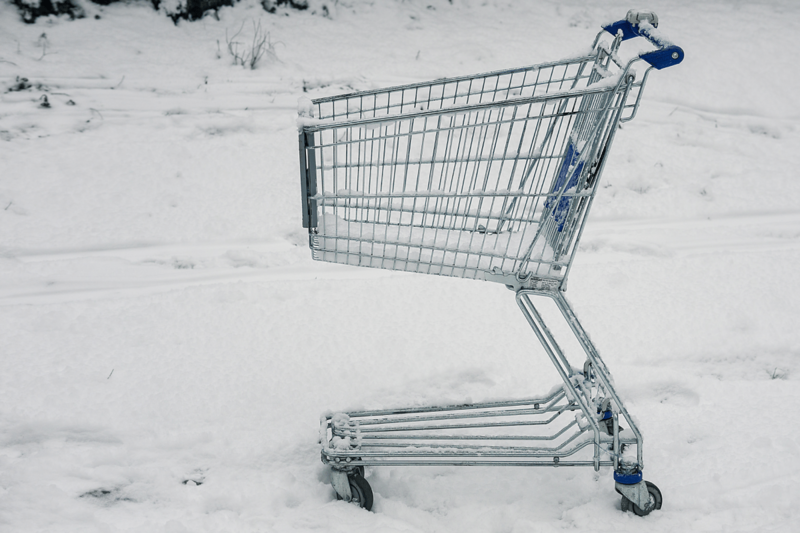 The abandoned carts when recovered can increase sales and lead to better conversion rate. Abandoned Cart emails saw an open rate of 41.18% and top 10 percent of companies are doing at least three times their average performance due to a higher recovery rate of the abandoned carts. Businesses can customize emails that are sent to the cart abandoners and can also send multiple email notifications to the customers. Multiple notifications can be scheduled to be sent to the customer at specific intervals varying from minutes, hours to days. Cart abandonment emails are perfect trigger emails that can nudge the customer along the buyer’s journey until they become the end customer. Trigger mails not only have eight times higher open rates and click-through rates, but also manifold the revenue six times. By following cart abandoners through emails, businesses establish the fact that they value customers, are concerned about their experience and are willing to empathize and help them complete their checkout. Chargebee’s abandoned cart reporting feature eliminates the need for businesses to look out for other softwares with the same scope. Businesses need not deploy skilled programmers to execute this, since it is a straight-forward feature which can be implemented easily.